Ever since he became Prime Minister in 2014, Narendra Modi has talked about job creation as a sorely needed factor for India’s economic stability and growth. Yet the subject remains the proverbial elephant in the room, made obvious because it has been repeated, by the PM, by opposition and media over the years, with little to show by way of success. On 15 August 2014 the media reported: “Modi hoists the National Flag from the ramparts of Red Fort. Skill development will be towards job creation and empowering the youth…” A year later media reported, “Modi said there would now be an attempt at linking job creation with new investments. Proposed schemes would now impose the obligation of creating fresh jobsfor every clearance given to investments”. In 2017 the reports quoted the PM: “We are nurturing our youngsters to be job creators and not job seekers.” That year he also spoke of government’s policies that have led to more employment opportunities, but did not elaborate. During the July no-confidence motion in the Lok Sabha, Modi replied to the criticism his government was facing over the unemployment issue by saying that over one crore jobs had been created over the past year. Finally, on 15 August 2018, he hinted at the need for a rethink of what “job creation” means. We agree. There is a basket of livelihoods and knowledge, guided by culture, which fulfils all that government means when it says “jobs”. It is found as the self-employed traditional artisan sector in handicrafts, hand-weaves and cottage manufactures. The ‘job creation’ that has featured in these speeches over the last few years is embodied in the millions of women and men, whose wealth of skills give us products both pleasing and sustainable, and contribute to inclusiveness, respect, remuneration, rural wealth creation and eco-friendly solutions for a planet ravaged by toxic poisons. These are brought to us by households of many parts, engaged in cultivation or animal rearing, some retail activity, one or two members may draw salaries, and in which there is a household industry too, often a handicraft. If they are in plain view, why are they still neglected? Some of the neglect can be explained by the uncertainty about how many households of this description there are in the India of 2018. No-one truly knows. We make guesstimates based on how a few agencies of the central government report their findings, and from the experience of those who have long worked in the sector. Even so, government is not blind to its size and strength. In its ‘Guide for Enumerators and Supervisors’, the Sixth Economic Census 2012-13 explained that it “included handicrafts with a view to reflect the huge contribution the artisan communities make to India’s economy”. But the Economic Census did not scrutinise artisan communities as keenly as it did workers of other sectors, and we are still left guessing where they are found and what their numbers are. The experience of state handicrafts agencies and especially the cooperative crafts groups shows that these are probably included in the 13.1 million ‘establishments’ enumerated by the 2012-13 Economic Census which pursue activities relating to agriculture other than crop production and plantation. According to reports, the National Bank for Agriculture & Rural Development’s (NABARD) All India Rural Financial Inclusion Survey 2016-17 has indicated likewise. Some guidance (limited and hampered by unhelpful definitions) can be taken from Census 2011 which has listed 6.2 million rural ‘occupied census houses’ used as residences but which are put to other uses too (out of the total of 166.2 million), these being (in the census jargon) ‘arts, entertainment and recreation’ and ‘undifferentiated goods and services’ both of which may include all kinds of activities not related to handicrafts, hand-weaves and village household industries. Useful as it may be, poring through the minutiae of Census entries does not help tally what the Central agencies list. 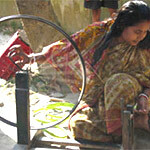 The programmes of the Khadi and Village Industries Commission (KVIC) are implemented through 4,601 registered institutions and involve more than 723,000 entrepreneurial units under the Prime Minister’s Employment Generation Programme and the erstwhile Rural Employment Generation Programme (now subsumed into the PMEGP), and also the Pradhan Mantri Rojgar Yojana. The KVIC alone claims through its programmes to have placed in employment (for 2016-17) 13.64 million people, a number that corresponds better with the most recent Economic Census than with Census 2011 data on workers. 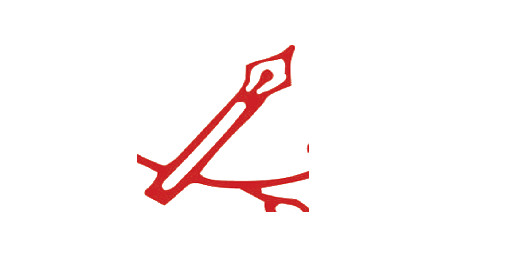 However, that still leaves us with the alas indeterminate impacts of programmes under ministries and agencies (textiles, agriculture, rural development) which are in nature handicrafts, weaves and household industries, and making provision for the footprint of the private but non-formal activity all over India, assessments of which are scattered and limited only very locally. What else is missing in the handicraft sector? Advances in appropriate technology to remove drudgery are few and far between, raw materials at moderate rates is seldom secured, lack of upgraded design for greater acceptability and utility, and – most important of all – access to marketing opportunities. The huge opening up of e-marketing platforms are mystifying oceans to a craftsperson with low or no IT skills. Most of these platforms serve youthful, educated middle-class entrepreneurs adept in both English and presentation skills. Even so, Dilli Haat alone is proof that once markets pitched at different levels are available, many shortcomings are tackled by crafts persons themselves. For years, those invited to the Red Fort on 15August have sweltered in the humidity and heat, fanning themselves with their invitation cards. Surely there was an opportunity here to connect “jobs” with tasteful utility at hand, and this writer proposed and assisted government in the procurement of 1,000 bamboo fans from tribal Bengal which were provided this year to the VIP section. The next opportunity is Raksha Bandhan, for in 2017 during a ‘Mann ki Baat’ broadcast the PM spoke about wearing khadi rakhis instead of China-made ones (media went looking but found none). This lack of follow-up by concerned bodies to positive, simple suggestions, leads people to accuse the PM of running a ‘jumla sarkar’. This year, prototype rakhis made of khadi by artisan women have been sent by an NGO to KVIC suggesting it produces them in larger quantities. Innovation, a government watchword, abounds where there is natural material to work and knowledge to apply, like the famous husband who began to make inexpensive sanitary pads after seeing his wife’s plight, the solar-powered refrigerator to assist street food vendors, the biodegradeable polymer diapers of IIT Madras, Narayana Peesapaty’s edible cutlery which is deseves the patronage of airlines and the railways, the disposable bamboo drinking straw created by the Botanical Survey of India in Andaman and Nicobar. These ideas need committed support by government, as much for fulfilling ‘job creation’ and sustainable livelihoods as for mainstreaming the signal environmental service done by the handicraft sector, whose inventive use of the materials Nature gives us is intrinsically sustainable. First published in Indian Express September 10, 2018.